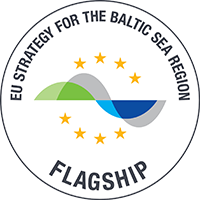 HELCOM, Baltic Marine Environment Protection Commission, and its Action Plan (BSAP) play an important role in implementation of the Baltic Sea environment policy. HELCOM’s work is based on intergovernmental cooperation between all coastal countries and the European Union. The local action plans on litter management are done in cooperation between national authorities and HELCOM. 2007 – HELCOM Baltic Sea Action Plan on encouragement of projects to remove litter from the coastal and marine environment, and raising public awareness on the negative environmental and socio-economic effects of marine litter. 2010 – In HELCOM Moscow Ministerial Declaration it was agreed to take further steps to carry out national and coordinated monitoring of marine litter and identify sources of litter. 2015 – HELCOM Regional Action Plan on Marine Litter sets the standards for each HELCOM country to put the agreed commitments into action. The effectiveness of the measures should be reviewed regularly, for the first time by 2020. Implementation of actions on marine litter is developed jointly via a lead country/actor approach. The intention is to develop appropriate actions into concreate measures to prevent and reduce marine litter. Additionally, an integral theme is the smart production in order to produce less litter. These actions are further divided to regional and voluntary national responsibilities.